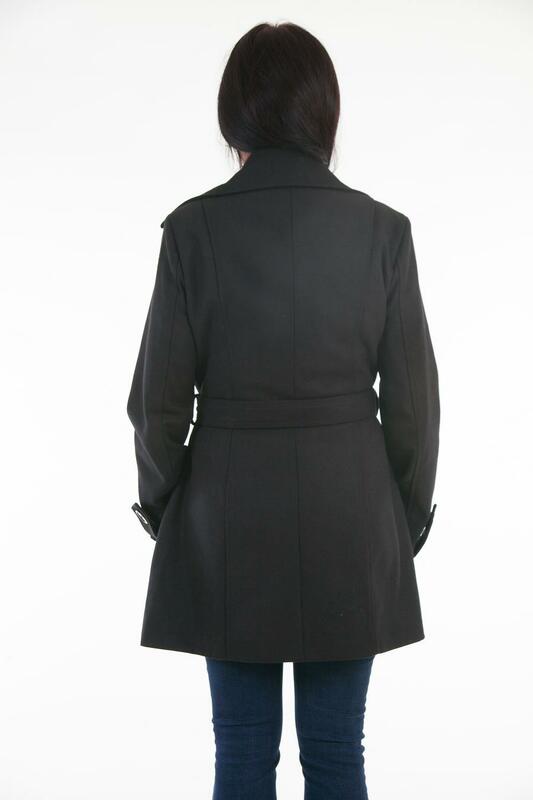 This double breasted trench coat features oversize pointed collar, front pockets, and tab cuffs. A removable belt complements this fully lined trench coat. The approximate length from the top center back to the hem is 32 inches, Size Small.